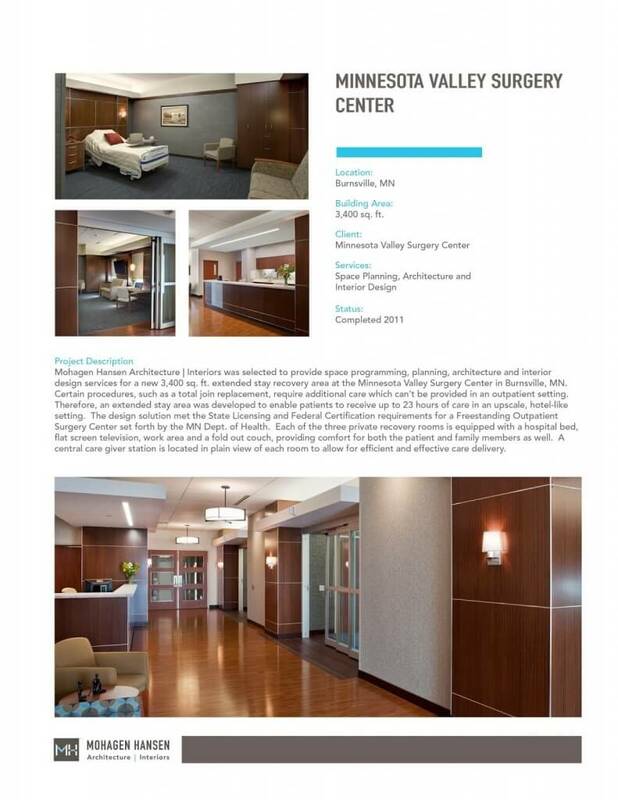 Mohagen Hansen is a leader in the planning and design of ambulatory surgery centers (ASC’s). Outpatient ASC’s are a growing, positive trend in healthcare due to their emphasis on comfort, convenience and safety. They have demonstrated an ability to provide quality care and reduce recovery time while reducing costs overall. See a quick overview of one of our recent extended-stay surgery center projects below.